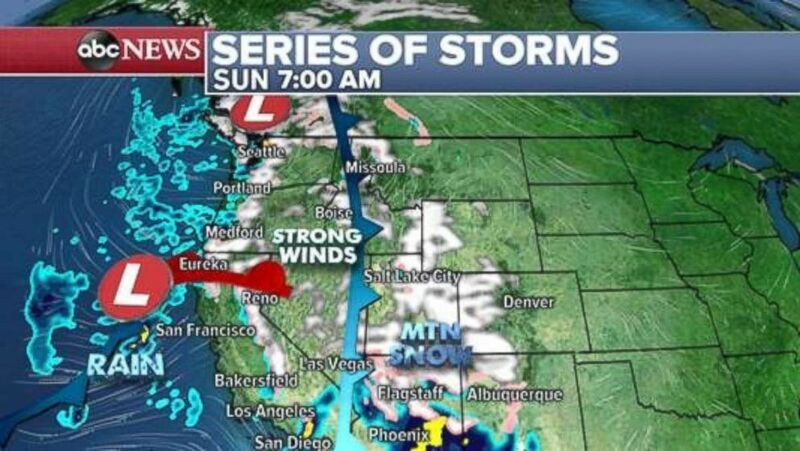 A strong Pacific storm came ashore late Saturday in the western U.S., bringing widespread strong gusty winds, very heavy rain and mountain snow. 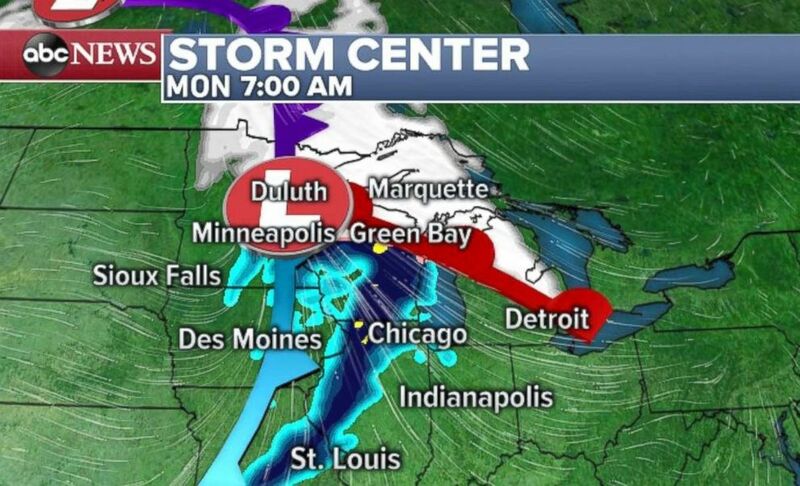 A major storm is moving onto the West Coast on Sunday morning. 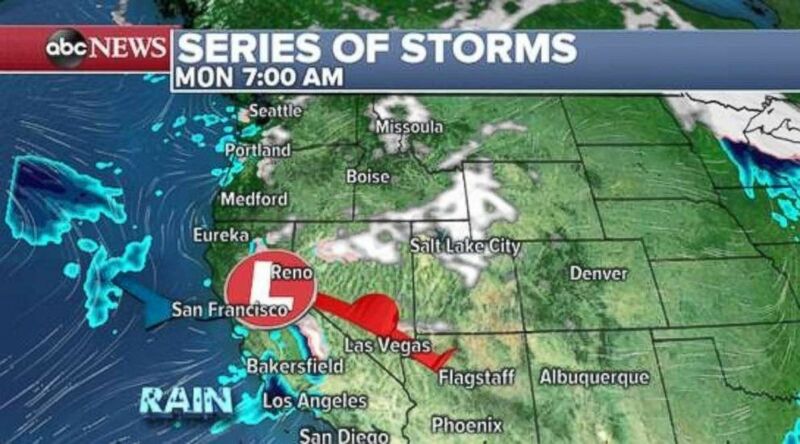 Another weaker system will move onto the West Coast on Monday morning with some rain likely in Southern California. 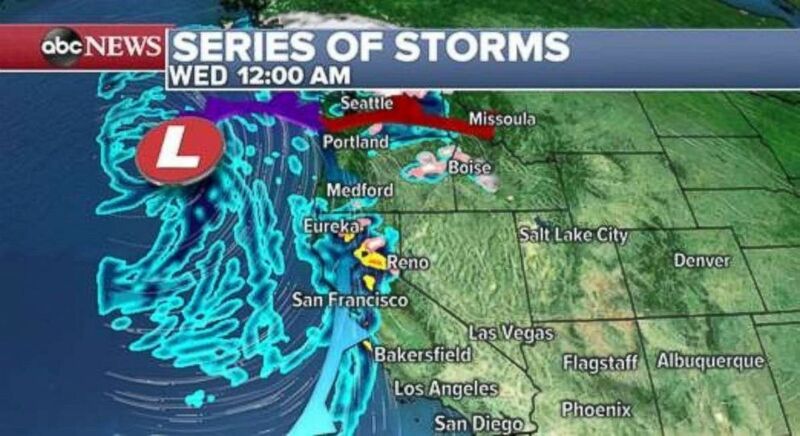 Northern California will see rain as a third system moves in late Tuesday and early Wednesday. 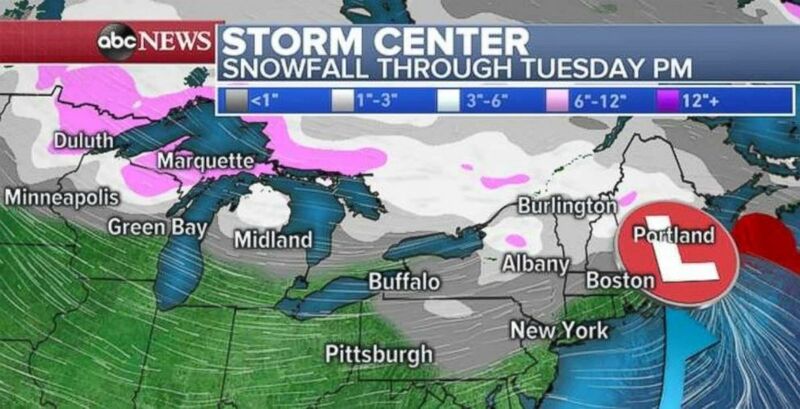 A quick-moving storm could dump some snow on the Midwest Monday and the Northeast on Tuesday. Snowfall totals will remain relatively light as the storm quickly moves across the northern U.S.